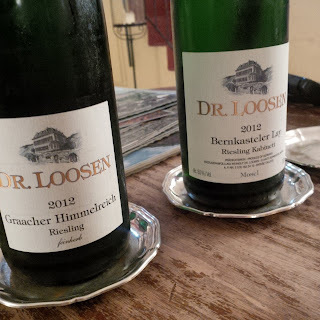 Dr Loosen has a presence in British Columbia where I resided last year and are involved in a joint venture making a Riesling in Washington State with Chateau St Michelle called Erocia. 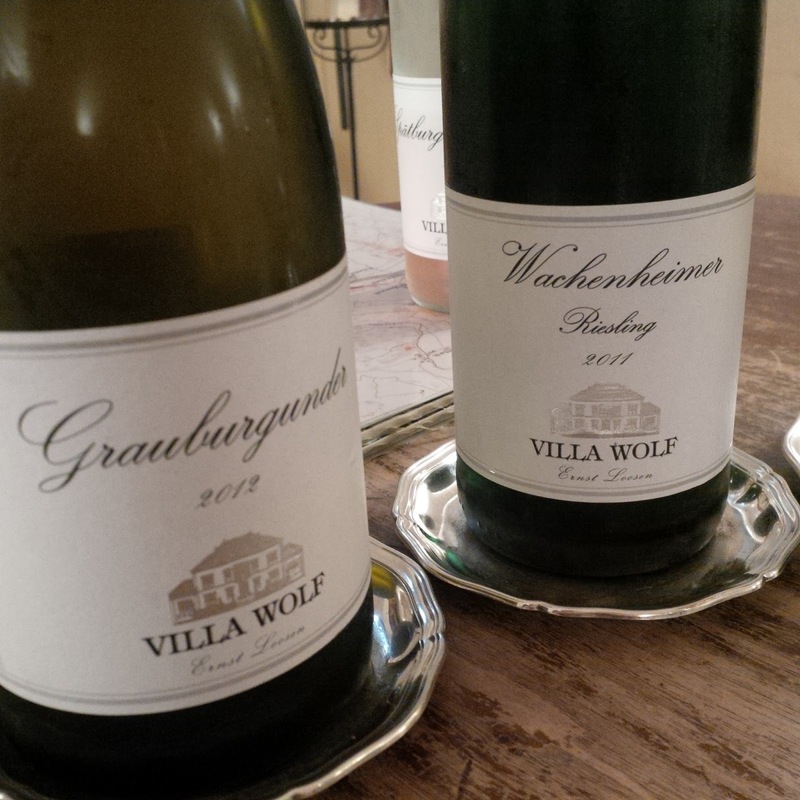 We stared the tasting with their second label Villa Wolf. This are affordable wines that show varietal typicity. My host was a Sommelier and an expert on food and wine pairing and was able to share a few tricks up his sleeve when it comes to pairing Riesling. Thomas Haag produces only Rieslings at Schloss Lieser and comes from a lineage of highly acclaimed winemaking. 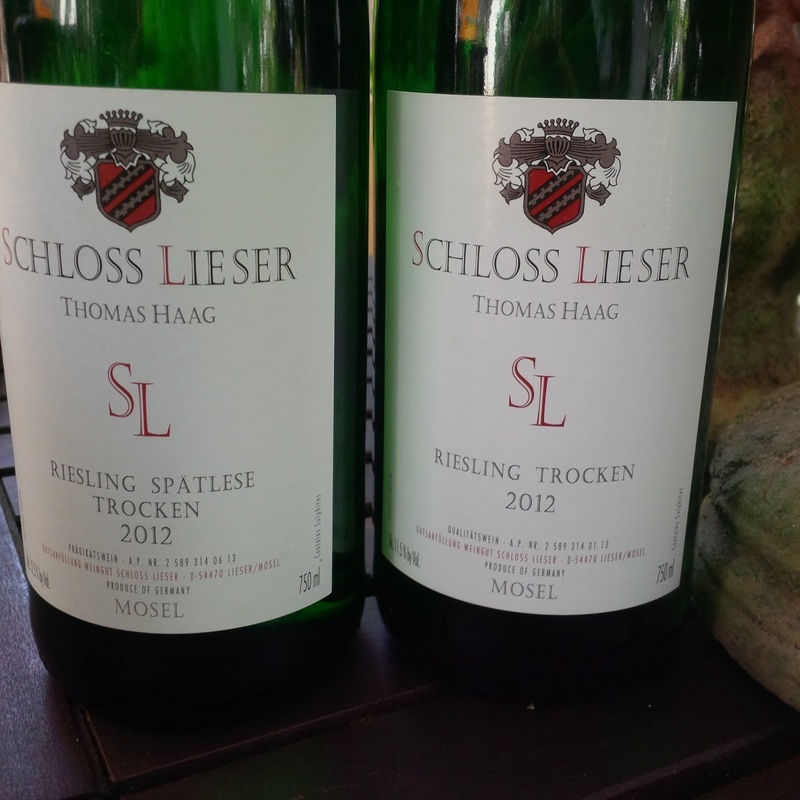 His father is Fritz Haag and brother, Oliver Haag. 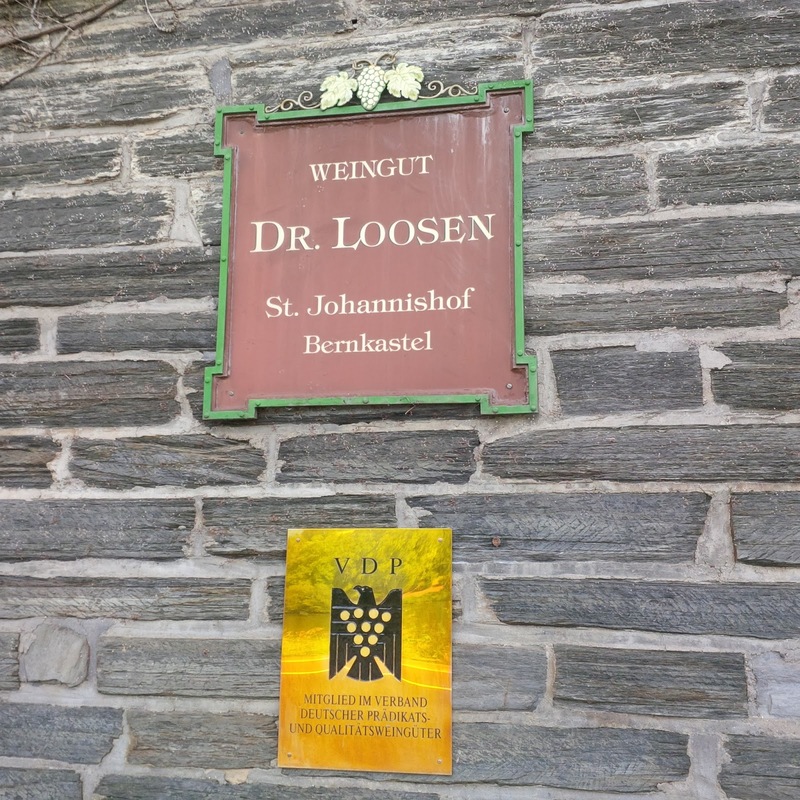 They exercise spontaneous fermentation and are apart of the Grosser Ring: 31 vintners that are apart of the VDP. 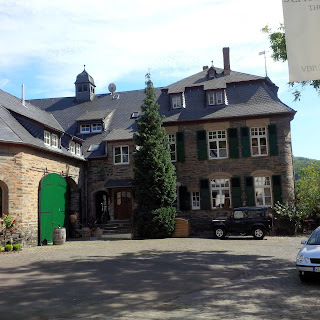 I found this interesting as it is a separate association to the Bernkastel Ring that I learned about earlier in the week. I visited both wineries in the same day and keep in mind if you are to visit wineries in this region they mostly operate by appointment so book ahead. 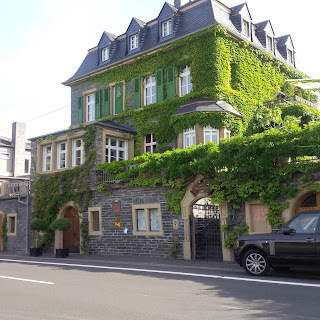 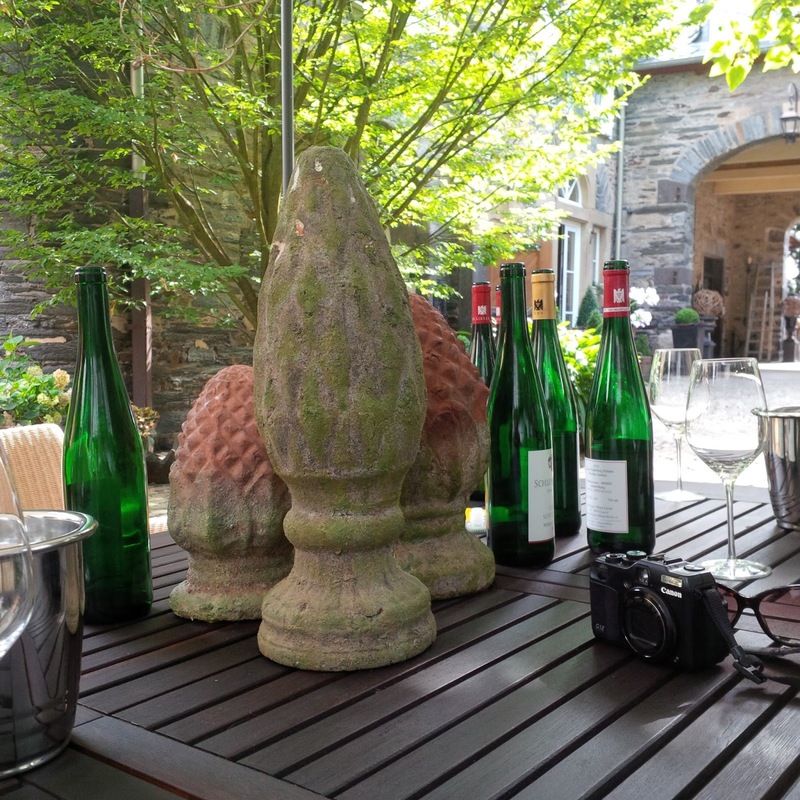 If you travel to the Mosel you will find that whomever you email to make an appointment with, you will be emailed back with a surname that is the same as the winery. 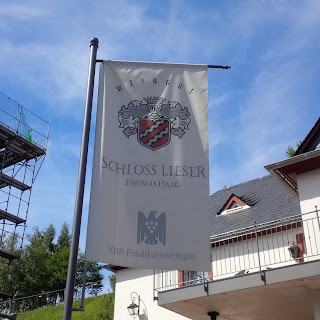 This is not what I am familiar with back at home; wineries small enough that they are owned and operated by the same person or family. 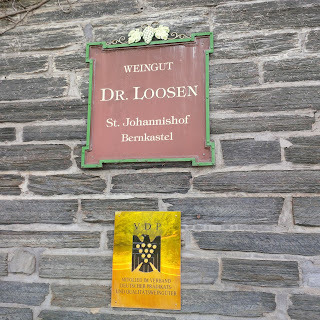 A nice personal touch.